A former owner of the Hamilton Tiger-Cats, David Braley has served as the chair of the CFL’s Board of Governors and the CFL’s interim commissioner from March 2002 to November 2002. 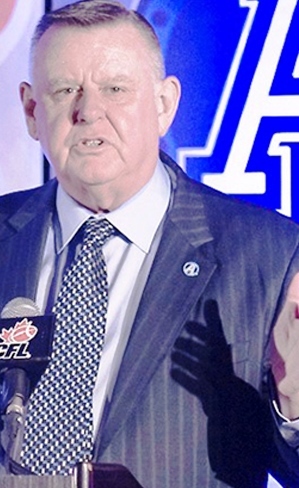 A leader among his peers on the Board of Governors, David’s efforts in recent years including taking ownership of the Toronto Argonauts have stabilized the CFL and helped spurred its unprecedented growth. Braley acquired the BC Lion’s in 1997 and his long history of success in business quickly translated to the gridiron as the team captured the Grey Cup in 2000 and 2006. Under his leadership, the Lions are recognized as one of British Columbia’s model citizens, a team active in charitable and community endeavours focused on health and wellness, public education and the development of amateur football.